Dr. I. Angelov Farooq is proudly born and raised in Inland Southern California. He grew up attending local public schools in Riverside County within Jurupa Valley. Angelov and his two younger sisters were raised by a single low-income mother who instilled the value of education to transcend their challenging economic circumstances. These experiences shaped him to prioritize the advancement of equity and access to opportunities for diverse students. Angelov earned a Bachelor of Arts from the University of California, Berkeley and both a master’s degree and Doctorate of Policy, Planning and Development degree from the University of Southern California. His local roots ensured he would return back to our community upon completion of his education. Angelov's lifelong commitment to education continued as he became the Founding Director of the University of California, Riverside Center for Economic Development & Innovation and is on faculty at the University of California, Riverside A. Gary Anderson Graduate School of Management. Angelov is passionate about promoting an innovation ecosystem for quality jobs in our region. He is a Founding Board of Director for a technology incubator/accelerator in downtown Riverside called ExCITE and the Principal of AVM Innovation Consulting, LLC. 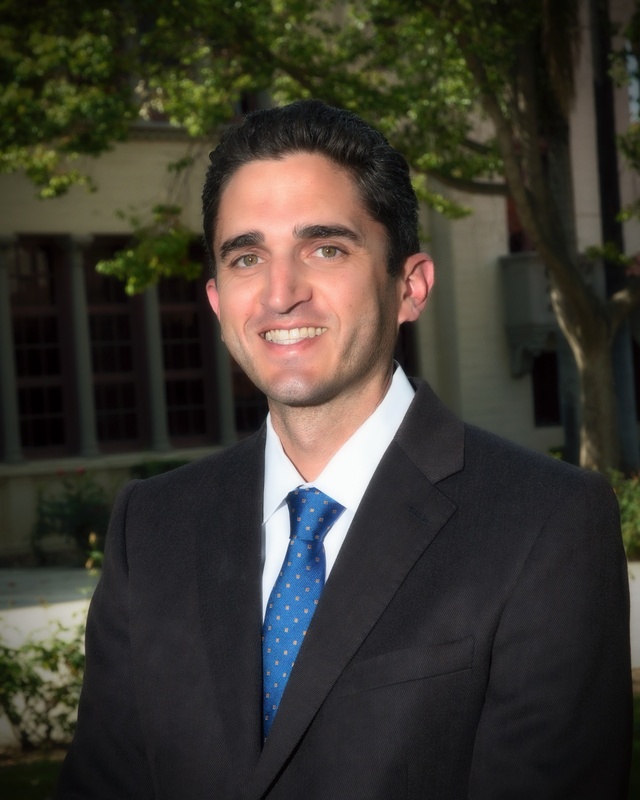 Angelov is active in the community serving as an appointee for the Mayor of Riverside on his Innovation District Working Group and has previously served on the Board of Directors for the Latino Network among other organizations. He is a graduate of the Leadership Riverside Class of 2015 and serves on the Greater Riverside Chambers of Commerce Economic Development Council. Angelov has been an appointee of the Riverside County Board of Supervisors on the Workforce Development Board since 2007. In 2013, Angelov was appointed by Governor Jerry Brown on the California Workforce Investment Board. In 2015, California's Chief Financial Officer, Controller Betty Yee, appointed him on her 10-member Council of Economic Advisors. Angelov is married to Vessy and they serve together as a "Big Couple" for Big Brothers Big Sisters of Inland Empire; that focuses on empowering children facing adversity. His global perspectives on policies are enriched by having traveled to over 40 countries that span 6 continents. Angelov can be reached by email at afarooq@rusd.k12.ca.us or by phone at 951-788-7135, ext. 80417. Kathy Allavie has a long history with Riverside and RUSD schools. Her roots go back to her grandmother attending All-Girls High School before Poly became co-ed. Her father was class president at Old Poly. She herself attended Emerson, Alcott, Victoria, and Harrison Elementary Schools, Chemawa Middle School and Poly High School. Her three daughters have attended Poly, King and North. She earned her BA at USC, majoring in Journalism/PR, in 1976. Ms. Allavie was first elected to the RUSD School Board in 2005, and is currently beginning her fourth term. 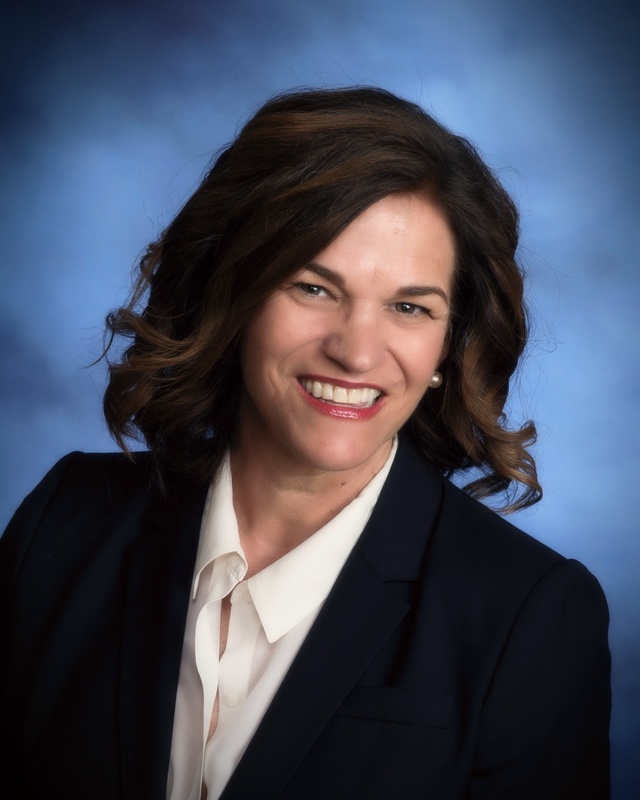 She was recently appointed by the Governor to serve on the Commission for Teacher Credentialing, a commission that oversees all teacher training and credential programs in the state. As a longtime volunteer, Kathy has chaired the City of Riverside's Youth Action Plan and has served on over 25 community non-profit boards. She was president of the Art Alliance of the Riverside Art Museum, Junior League and National Charity League, as well as PTA President at three schools. She was awarded the 2004 YWCA Woman of Achievement award, the 2005 Family Services Family of the Year for Volunteerism and the Junior League Silver Raincross. Kathy was named the Volunteer of the Year at Amelia Earhart Middle School twice and once at John W. North High School. She was honored by the City of Riverside with the Spirit Award for outstanding volunteerism, in September 2011, by Assemblyman Medina as a 61st Assembly District Woman of Distinction in 2015, and by the UCR Citizen’s University Committee in 2018. Kathy is a big believer in the fine arts, and supports music, art and theater in Riverside schools. She developed the 2018 ART FLOAT, the largest community art installation in Riverside’s history, as well as GHOSTWALK Riverside, the Giant Orange Project and many more. She is also a big supporter of STEM education, and has helped develop a scholarship to assist new UCR teachers entering RUSD. She believes that strengthening Riverside schools will benefit, not only our children, but our city and our future as well. Kathy can be reached by email at kallavie@rusd.k12.ca.us or by phone at 951-788-7135, ext. 80417. Tom Hunt will soon begin his 11th year on the Riverside Unified School District (RUSD) Board of Education. Tom feels strongly the District is proceeding in the “right direction” in many areas. Some of his priorities include student choice, parent and community involvement, and building strong collaborations with our local government and higher education partners. Tom believes the health of school programs will continue to grow as the Board and District develop more partnership opportunities with local business and community leaders. Through strategic partnerships the District will continue to prioritize enhancement of student learning experiences (E.g. internships, job shadowing, AVID, etc.) so every graduate will be prepared for their next steps. Tom has served two terms as Board President. During his most recent term (2016), the District secured 70% voter support on the $392 million General Obligation Bond, Measure O. Many schools are in great need of facility upgrades to accommodate Riverside’s growing population. Tom is excited to be on the governance team that will help guide the District through many upcoming projects that will help improve every school environment and better prepare Riverside students for a 21st century workforce. During most of Tom’s tenure on the Board, he has served as a delegate representative to the California School Boards Association (CSBA). In addition, he was elected to serve on CSBA’s Nominating, Legislative Affairs, and Allocations/Adequacy Committees. Recently, he was elected to serve on the Riverside County Commission on School District Organization. Tom founded and directs the consulting firm, Hunt Public Relations, which serves the government relations, public affairs, and strategic planning needs of Inland Southern California-focused land development interests. Tom attended elementary, middle, and high school in Riverside. He earned his associate’s degree from Riverside City College before transferring to University of California, Los Angeles, and graduated in 1978 with a Bachelor of Arts in political science. Tom married his high school sweetheart; He and Geri have two daughters, Whitney and Taylore. Both are RUSD graduates. Tom can be reached by email at thunt@rusd.k12.ca.us or by phone at 951-788-7135, ext. 80417. Brent Lee, a lifelong resident of Riverside and proud graduate of the Riverside Unified School District, was elected to the Board of Education in 2013. A student at Washington, Gage and graduate of Poly High School (1999), Brent earned a bachelor’s degree in Economics and International Relations (BA) with a minor in Spanish from the University of San Diego and a master’s degree in management (MBA) from the Anderson School of Management at the University of California, Riverside. As a real estate broker and the co-owner of Windermere Tower Properties, Brent knows that the education provided by our local schools is the foundation for good quality of life for all residents. Brent’s firm helped usher a partnership between RUSD and Realtors with the At Home in Riverside program which informed fellow Realtors of our amazing schools, the programs offered, and the teachers inspiring our students. Brent believes that a strong educational foundation can be the nexus for stronger neighborhoods, economic development and greater prosperity for our region. Brent is a seasoned community leader with a commitment to service. Brent is the co-founder and past president of the Pick Group, the leading young professionals organization in Inland Southern California. He is a graduate of the Greater Riverside Chambers of Commerce Leadership Riverside program and has served on the City of Riverside’s Charter Review Committee, the Parking, Traffic and Streets Commission, International Relations Council, YWCA Board of Directors, and the Riverside International Film Festival Committee. Brent currently serves on the Riverside Medical Clinic’s Charitable Foundation Board, Pick Group Executive Board, CBU Dean’s Executive Council, College of Allied Health and Board of Visitors, Big Brothers Big Sisters of the Inland Empire Riverside Area Board, and the Historic Evergreen Memorial Cemetery Board of Directors. Brent married his wife Ana in 2008 and they have three children. Brent can be reached by email at blee@rusd.k12.ca.us or by phone at 951-788-7135, ext. 80417. Patricia Lock-Dawson, a Riverside native, was elected to the Board of Education in 2011. She has a long history of involvement in Riverside's schools as an active parent of three daughters who are enrolled in high school and college. Education has always been a priority to Patricia, who holds a Bachelor of Science degree in biology from the University of California, Riverside, and a Master of Science degree in wildlife from the University of Washington in Seattle. Patricia owns her own environmental consulting firm, PLD Consulting, and created the Santa Ana River Trail and Parkway Partnership, bringing together decision makers from Orange, Riverside, and San Bernardino counties focused on completing a 100-mile recreational trail stretching from the mountains to the Pacific. Patricia also is highly involved in community and government organizations. She has served as Chair of the City of Riverside Planning Commission and is a gubernatorial appointee to the California Board of Behavioral Sciences. She also has served as President of Inland Empire Chapter of California Women Lead, and has served on the Board of Directors of the California Water Education Foundation, the Riverside Land Conservancy, California Riverside Ballet and National Charity League. She also was an appointee to the RUSD Budget Advisory Committee and a member of the Citizens Oversight Committee for Measure B. Also, she is active with the Raincross Group and several other community organizations. Patricia and her husband, Scott, enjoy spending time with their daughters Clara, Olivia, and Martha Rose. Patricia can be reached by email at pdawson@rusd.k12.ca.us or by phone at 951-788-7135, ext. 80417. Daniel currently attends Martin Luther King High School, and has been in the Riverside Unified School District since 2012. At King, he is ranked in the Top 10 of his graduating class, and is an AP Scholar with Distinction. Daniel has been the Captain of King High School’s Mock Trial team since 2017, leading the team to a county championship and a 3rd place finish at the Mock Trial State Finals in 2018. During that season, he was awarded the distinction of Best Defense Attorney in the County and the State. Daniel is involved in the community as a member of the Riverside Youth Council, and has worked with the Riverside Youth Court for the past 3 years, helping juvenile offenders complete their diversion program and grow from their mistakes. Daniel has spent several summers with his Church doing mission work across California and Mexico. Daniel’s parents both have careers in public education, so he is very excited to follow in their footsteps and represent the RUSD student body as a Student Board Member. Emily was born in Loma Linda and grew up in Riverside. She has always attended schools in the Riverside Unified School District, such as Benjamin Franklin Elementary School, Riverside STEM Academy, Frank Augustus Miller Middle School, and is currently enrolled at Martin Luther King High School. At King, she is ranked in the Top 10 of her class and was presented the National AP Scholar Award by Collegeboard. Outside of academics, Emily is involved in extracurricular activities such as figure skating, piano, and is currently holding her third year in office as the Vice President of a business organization called DECA. In addition, she participates in community service activities with organizations such as Keep Riverside Clean and Beautiful, the American Cancer Society, and the March of Dimes. After graduation, Emily hopes to pursue a major in the field of medicine with a minor in business economics. America was born in Mexico and raised in Riverside. She is a proud student of Ramona High School, who also attended Chemawa Middle School. At Ramona, she is ranked in the Top 10 of her class. She was a member of the Final Four Mock Trial Team in 2018, and will continue to help the program excel this year. She participates in community service clubs such as Key Club, and Help the Homeless Club, whose aim is to help the community. America is a curious learner and loves reading, exploring different subjects, and teaching herself new languages in her free time. Outside of school, America enjoys reading, writing, and spending time at the library. America plans to study finance, economics, and physics and then attend business and law school simultaneously. She hopes to use science and business to invest in her local community and push forward innovations in the future.